Eyes are one of the most important sensory organs that God has blessed us with. Without our eyes, we would not have been able to gaze at the beauty of the nature and the amazing world around us. Those who are born with no vision know the pain of never being able to see the light around. And I am sure that none of you will ever want to go through the feeling of living in the darkness forever. And this is why you must take efforts to protect your eyes as much as possible. And you can do so by eating foods that promotes good eyesight and helps maintain good eye health naturally and for long. And today I am sharing the list of 11 best foods to improve eyesight. By eating these foods you’ll be able to improve eyesight and maintain good eyes health for long. Age, genes, too much of work pressure, using a lot of electronic gadgets does have an adverse impact on our eyes and makes our eye sight poor. But if you take care of your eyes properly, you will be able to prevent the negative impacts to a great extent. And, the very safe and best way to maintain good eye health and to improve eyesight is by eating the well balanced nutrition rich foods. In other words, if you eat the right kind of foods that’s good for eyes, your eyes will get the much-needed nutrients, and they will stay healthy and your vision will also remain strong for a long time. If you are worried about the health of your eyes and want to discover the foods that can boost eyesight and eye health, then here’s the post worth reading. Today I am sharing the list of 11 best foods to improve eyesight and maintain good eyes health for long time. Eyes contribute a lot to an individual’s external beauty and that is why there are so many makeup products available in the market to enhance the beauty of your eyes. But, we all know that the real importance of the eyes lies in its ability to help us see the world around us. So besides concentrating on the external beauty of the eyes, it is very important that you take care of internal eyes health as well. After all, a beautiful looking eye is useless without a good vision and strong eyesight, as without strong eyesight, you will not be able to look into the mirror and cherish the beauty of your eyes. There are several ways to take care of your eyes and boost its health but the primary thing is to eat right as it is essential. 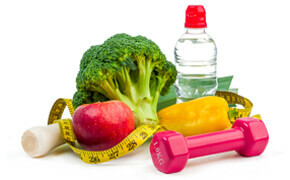 Basically, a balanced diet is recommended for being healthy and fit in general. But if you are specifically concerned about your decreasing eyesight or is worried about the future as you have it in your genes, then it is always advisable that you lay proper stress on foods that help in boosting eyesight and eye health. 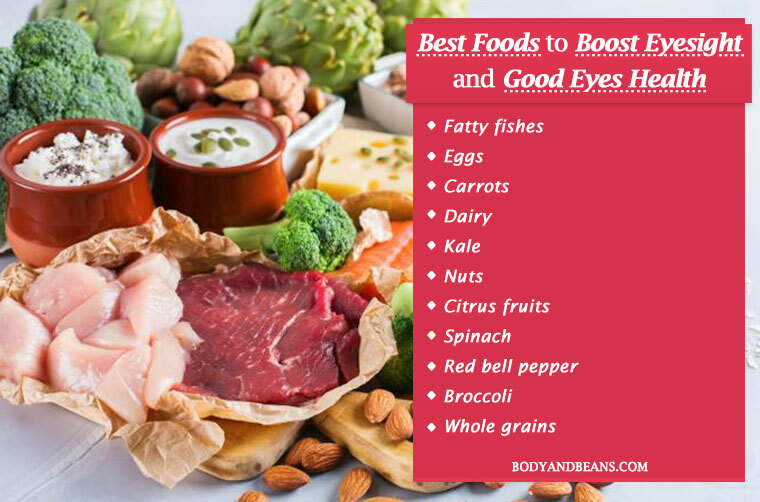 And, for that, you need to take a note of the list of best foods for good eyesight and eyes health. So, are you ready to know about the best foods that promotes good eye health and eyesight? I think you are, because the problem of poor eyesight is a very common one and there is a huge majority of individuals who are concerned about eyesight and eye health. So, let us begin with the discussion right away. It gives me great pain when I see little girls and boys wearing specks, because it is their childhood and they are to enjoy it freely. But many of them have to bear the burdens of suffering from weak eyesight with no fault of theirs (in most cases). But, you know what one must never lose hope, that’s what I believe in. Besides going for the routine medicinal treatments, you can make them eat the foods that are especially good for the eyes. Eating these foods will help in improving eyesight and overall eye health to a great extent. And, those who are still blessed with good eyesight must also include these foods in their diet in order to avoid or at least delay the eye problems as much as possible. Here’s the list of 11 best foods to improve eyesight and eye health. The very first food item that I will recommend you in order to give a boost to your vision and to improve the overall eye health is fish. Fishes especially the fatty fishes are rich in omega 3 fatty acids which balance the omega 3s and the omega 6 fatty acids thereby leading to reduction of the inflammations. And, when the inflammation is low, there is improvement in the brain and the bodily functioning which in turn, strengthens your immunity. The fishes can also help prevent the problem of dry eyes. Moreover, the area near the retina is filled with DHA which is nothing but a type of omega 3 fatty acid. So, when you include lot of fishes in your diet, your eyes get a lot of omega 3s which automatically improves the health of the retina and leads to visual development. Therefore, make it a point to add the fishes like salmon, mackerel, tuna etc. in your diet. Try to go for the fishes that are wild caught and not farm raised as the farm raised ones contain less omega 3s and more of saturated fat. The best way to eat them is by grilling as frying or poaching reduces the food value. However, if you do not like fish, then you may even consider taking fish oil supplements but I want you to take the decision after consulting a good doctor. Eggs are one of the best foods to improve eyesight and maintain good eye health and there are various reasons behind that. Firstly, eggs are rich in Vitamin A which as per American Academy of Ophthalmology safeguards your cornea which is the surface of your eye. Secondly, the yellow color of the egg is due to the presence of lutein and zeaxanthin which as per scientific research is very good for your eyes and helps to lower the chances of getting affected by several eye conditions, including cataracts and age-related macular degeneration. In addition, eggs are also rich in zinc which also contributes to the health of your retina. It also aids the eyes to see in the night. So, in short, you can say that eggs provide you with complete eye care; therefore, it is advisable that you include eggs in your diet most often. And, as far as eating them is concerned, there are multiple options and I do not think I need to tell you anything on that separately. The next in list of best food list is the carrots and I highly recommend you to include them in your diet to improve your overall eye health and eyesight. The primary reason is the presence of the beta carotene and Vitamin A in them which provides protection to the eyes and prevents eye infections and several other eye conditions. Also, the carrots help in the prevention of inflammation and oxidative damage, which are the two major factors leading to several eye problems. Carrots are also scientifically proven to be helpful in letting you see clearly in the dark. So, if your night vision is poor, and you also want to improve your overall eye health and eyesight, make sure you eat a lot of fresh carrots to and benefit. Starting from drinking carrot juice to mixing them in curries or mixing some in the salads, there are many ways to include carrots in your diet. If you are not allergic to dairy products, then you can eat dairy products to improve your eyesight. This is because milk and yogurt are rich in Vitamin A and zinc, both of which are extremely important for maintaining your eyes health. Vitamin A is extremely good in giving protection to the cornea while on the other hand, zinc helps in the transportation of Vitamin A from the liver to the eyes. Moreover, it is found all over the eye especially in the choroid and the retina and plays an important role in improving night vision and in the prevention of the occurrence of cataracts. You can drink the dairy any time you want. But, it is good if you drink a glass of milk in the morning or include it with coffee or tea. Yogurt may be consumed after your lunch or as a snack. However, make sure you eat dairy from the grass-fed cows as that would provide you with maximum benefits. Kale is a super food as far as improving your eye health and eyesight is concerned. It is a powerhouse of nutrients containing several Vitamins, minerals and nutrients extremely good for your eyes. But, the primary reason behind its effectiveness against eye related problems is the presence of lutein and zeaxanthin which are very important for your eye health. These two have already been proven to give protection to your eyes from light and oxidative damage and also prevent the occurrence of several eye problems like cataracts and age-related macular degeneration. About 100 g of kale can supply you with 11mg of lutein which will fulfill your daily requirement of 10mg. You may include kale in your diet in the form of soups, salads, smoothies, sandwiches, wraps etc. as per your choice. You can start including nuts in your diet because they fall in the list of essential foods to improve vision and maintain good eye health. The primary reason is the presence of the healthy fats and Vitamin E which are very beneficial for your eyes health. Vitamin E provides protection against the unstable molecules that targets the healthy tissues. In fact, studies have been done on Vitamin E and it is seen that it is very effective against age related eye problems like for example cataracts. So, if you to want to avoid it, it is advisable that you eat the nuts frequently. Try to go for mixed nuts because then you are going to get a lot more of essential nutrients which are healthy for your general wellbeing. Nuts are the perfect snacks so munch on them anytime you feel like. But, please do not go overboard with them as anything consumed in excess is never healthy. When it comes to improving your eye sight and eyes health in general, I would like to request you to concentrate more on the citrus fruits like oranges, berries etc. The main reason is because the metabolic rate of the eyes is high and so, the antioxidants are needed to flush out the toxins that is produced during the metabolic reactions, and that where the citrus fruits helps you. The citrus fruits are rich in Vitamin C which is a perfect immunity booster and as per American Optometric Association (AOA) is extremely healthy for your eyes. It is an antioxidant that scavenges the harmful oxygen radicals and protects your eye muscles from damage. Vitamin C also helps improves the health of the eye vessels in your eyes. All of these help you to prevent the occurrence of cataracts and other serious eye conditions. To enjoy the benefits, you may eat the citrus fruits raw, make juices out of them or simply add them to the salads. Spinach has a lot of health benefits which includes improving your eyesight as well. See, the reason why spinach is so healthy is because it consists of several healthy nutrients like Vitamins A, E, B, C, iron, zinc etc., all of which are needed by our body and your eye health. It also contains phytonutrients like lutein and zeaxanthin that possesses antioxidant and anti-inflammatory properties and are also proven to be very helpful for improving your eye health and avoiding the occurrence of various serious eye conditions. The zinc content in it is also instrumental in keeping your cornea very healthy. You can include spinach in your diet in a number of ways. You may add them to your salads, sandwiches, pastas or make a spinach daal. Then there is also an option of making a smoothie out of the spinach. The next time you make a curry, just add some red bell peppers if you want to improve your eyesight and eyes health. This is because red bell peppers are filled with Vitamin A, E, C as well as lutein and zeaxanthin, all of which are very essential for maintaining good eye health. Red bell peppers actually provide protection to your eyes from macular degeneration at the same time keeps the retina healthy by preventing oxidative damages. You may consume the red bell peppers raw, blanched or sautéed as per your wish. Another vegetable that I will recommend you to eat for good eyesight and to maintain good eye health is broccoli. Besides solving several other health concerns, it is equally beneficial for your eyesight. And, that is due to the presence of Vitamin A, E, C and lutein, which are all very much beneficial for healthy eyesight. Broccoli helps prevent oxidative damage and photo damage and thereby takes care of your visual health. You may add broccoli to your recipe, add it to your salad or may even consume it roasted or blanched. One of the other essential food items to improve eyesight and good eye health is the whole grain food. Thanks to the presence of dietary fibers, phytonutrients, Vitamins and minerals, the whole grains are very healthy for your general wellbeing. They also contain zinc and Vitamin E which are especially beneficial for your eyes. They provide protection to your eyes against inflammation and oxidative damage. They also lessen the chances of having cataracts and other age-related eye problems. Therefore, in order to boost your eyesight and improve eye health, make sure your diet chart contains whole lentils, quinoa, oats, brown rice etc. in adequate amounts. Eating the right amount of diet is undoubtedly one of the best ways to prevent the occurrence of eye related issues. But, besides consuming the essential food items to improve your eye health and vision, I would request you to follow some additional tips as well as they are very essential for maintaining good eye health and boost eyesight. Eye exercises– There are some very healthy eye exercises like palming, focus-unfocus, rolling your eyes etc. which are good to strengthen your eye muscles. You may take an expert’s help and perform these eye exercises regularly. Splash water– Make it a habit to splash cool water in your eyes every alternate hours. This is because we are often hooked to our laptops, mobiles, and computers etc. And the radiation from all these devices affects our eyes irrespective of how many protective coats we add to our glasses. Therefore, it is needed to cool the eyes time to time using cold water. Drink enough water– Besides eating the right eye friendly foods; please do make sure that you are drinking enough water as that is very much necessary to prevent dehydration which in turn, will help you prevent the problem of dry eyes. Rest by closing your eyes– You may have a tight deadline and a lot of work pressure, but please find out at least 2-3 minutes and give some rest to your eyes by keeping it closed. Repeat the process every hour and I am sure you will see the difference yourself. Adjust the lighting– Adjust the lighting of your computer, laptop or phone to prevent photodamage. Wear sunglasses– Please wear sunglasses whenever you get out in the sun in order to protect your eyes from the harmful ultraviolet rays of the sun. Avoid smoking– Smoking is not at all good for your health and that includes your eye health as well. So, if you want to lead a healthy life, please get rid of your smoking habits. Eye checkup every 1-2 years– It is not advisable that you should only visit an eye doctor when you start facing eye problems. This is because, many times problems start occurring quite early. But you get to notice it when it reaches an advanced stage which is why many a times things go beyond normal recovery. Therefore, it is necessary that you keep in touch with your eye doctor and go for timely checkups. Make sure you wear the right glasses as prescribed by him/her. Over to you: what are you eating to improve eyesight and eye health? Our eyes are very precious to us and so we must make efforts to take good care of our eyes. Although today medical science has evolved a lot and we have various medical remedies for the several eye conditions, I personally prefer going the natural way when it comes to taking care of health and that includes our eye health as well. And, when it comes to natural remedies, we can never forget about the foods we are eating, as the nutrients in them work internally and gives that much needed boost. As far as eyes are concerned, I have already jotted down a list of 11 essential food items to improve eyesight and eye health, and have also stated scientific facts and proofs as to why they are so beneficial for our eyes. Moreover, the ingredients are very common and easily available and are also in general very healthy for you. So, I see no reason as to why you will not consider adding these foods to your day to day diet. 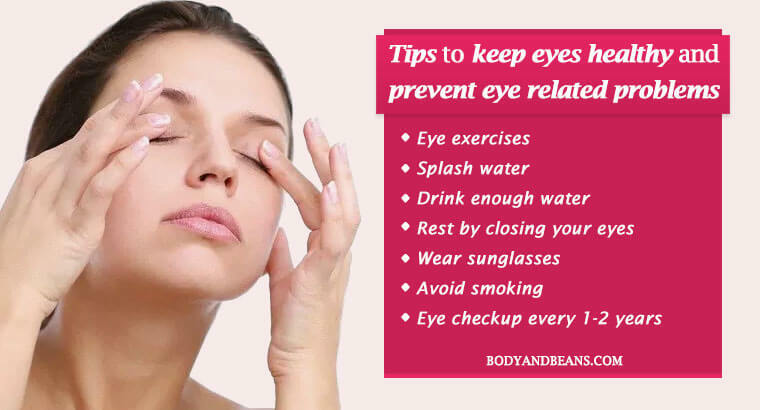 Apart from eating right, it is also important that we take good care of our eyes and I have already shared a list of easy to follow tips that will help you to maintain good eye health for long. If you have any suggestions or feedbacks regarding my today’s post feel free to let me know that. Also, if you follow a particular diet chart in order to boost your eye health, feel free to share that as well. I am sure it will be of help to my other readers. And, if you find my post valuable, please like and share it with others and spread the word among all. Until then, love your eyes and take care!